My students are very confident with the Pythagorean Theorem. 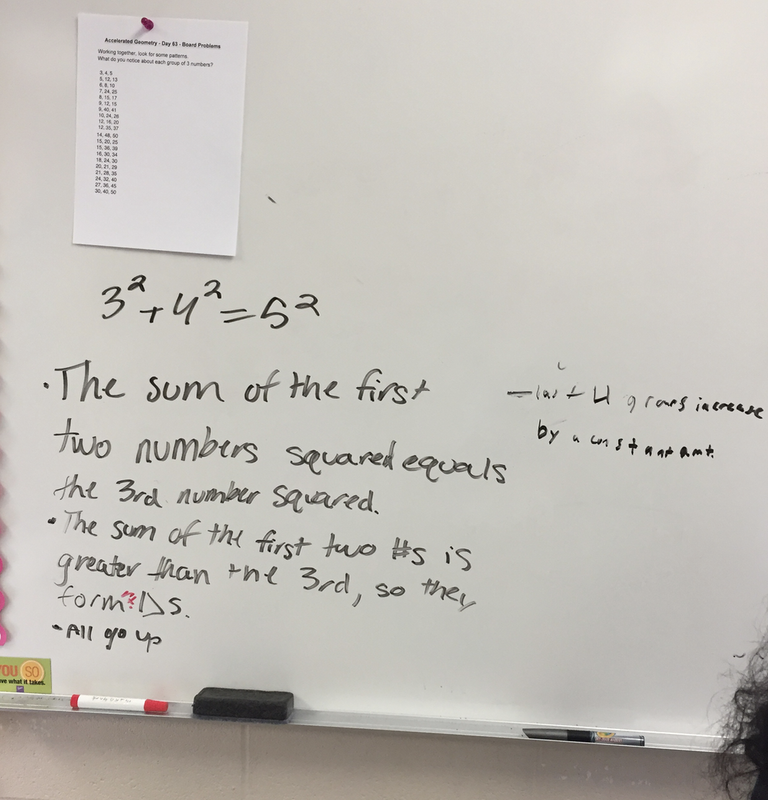 They learned it prior to my class and we have used it in class without a formal introduction. 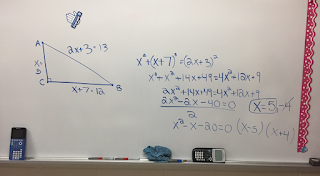 Today's lesson was to include Pythagorean Triples (new), more difficult problems with sides measuring square roots or binomials as well as Pythagorean Inequalities. Again, we were up at the boards. I gave them this list of triples without telling them what they were. I asked them to write what they noticed. They had so many different noticings I wanted them to share, on the spot I decided to have them do a gallery walk. In their groups, I asked them to circle the classroom and read each other's remarks. When they got back to their spot. 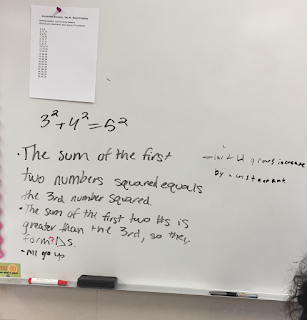 I asked them to share out something they noticed about what someone else wrote. I liked this. 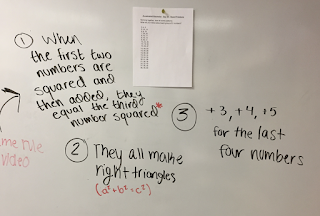 One group in the first class noticed the last four. 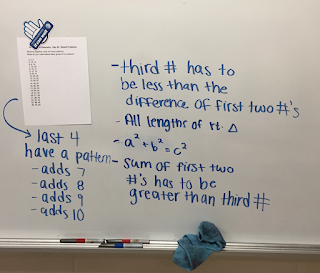 So, in my other two classes, I asked them to notice about the last four as well. Some noticed it added 3, 4, and 5 when you went down the list. 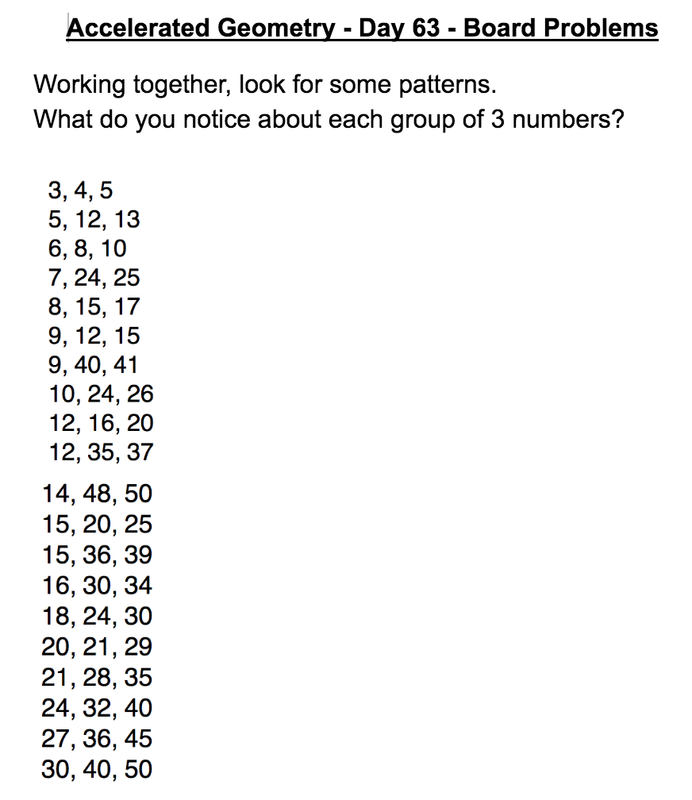 Some kids noticed it was 3*7, 4*7, and 5*7, etc. After this, we did these board problems. 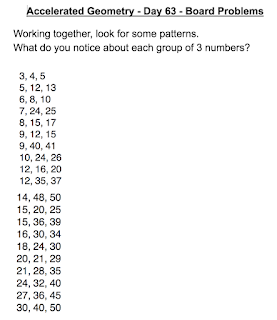 They did well with the regular Pythagorean. No one tripped up when I gave them a hypotenuse instead. 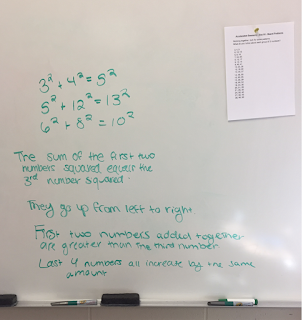 We struggled with squaring the binomial - only one group per class got it wrong. We learned from their mistakes. I finally, we drew a triangle from the triple 5, 12, 13. 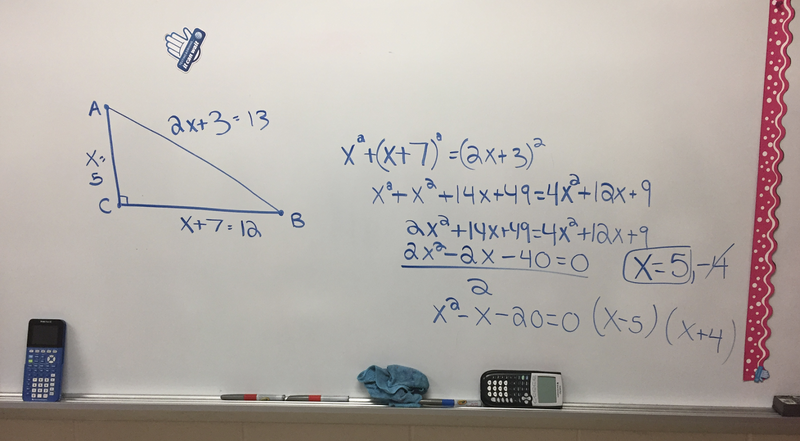 I asked if it was a right triangle and how they knew that and then I asked what would happen if we changed the 13 to a 14. 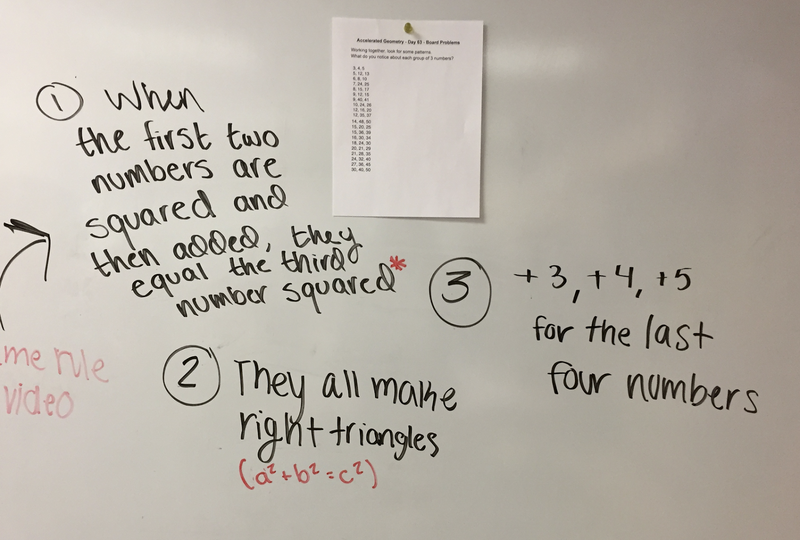 They quickly grasped that it would now be obtuse and that was our inequalities. Back to desks to recap and practice.